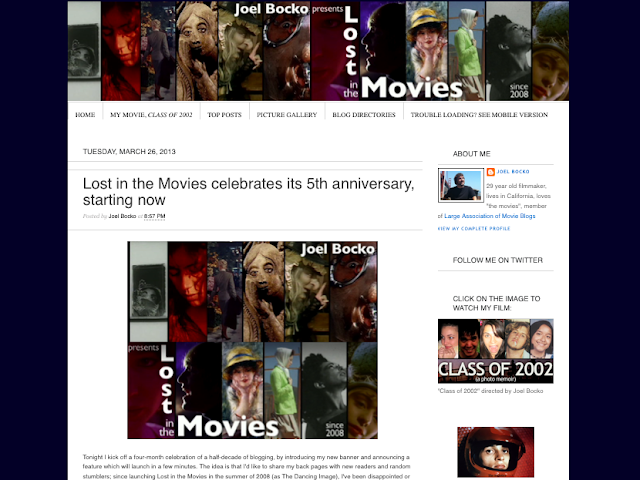 Earlier this year, Lost in the Movies celebrated its tenth anniversary. I had been hoping for a while to post a fully illustrated archive featuring a small picture, tweet-size blurb, and link for each of the fourteen hundred posts I'd published over a decade. This approach yielded way too much content for one page so I divided it into thirty chapters; it also entailed way too much work to complete on schedule, so here we are a couple months - and another chapter - later. Recently, I also illustrated a podcast video outlining my history, suggesting my future, and emphasizing particular works in my two most popular categories (Twin Peaks and video essays). For this post, I've reproduced each chapter's introduction (suggesting the spirit of that period, surveying several trends and topics, and choosing a particular highlight), along with a link to that chapter's page, and links to pages organized by year as well. This archive doubles not only as a resource for my site, but an overview of my evolution across multiple platforms, media, sensibilities, and approaches. Maybe "evolution" is misleading because while growth may be part of this story, the journey has been more of a winding path through the woods than a steady hike up a mountain. If you're looking to quickly find particular titles or subjects, you can check out my many other directories which are organize film titles alphabetically, chronologically, geographically, and by director, as well as within particular categories like Twin Peaks, video essay, and TV viewing diary (the picture gallery can also lead to some interesting discoveries, aside from being fun to take in on its own terms, while Top Posts isolates what I think is my strongest work). These archive pages, on the other hand, offer a sense of the context from which these pieces arose; they are at least as much about surveying the big picture as they are exploring individual pieces. For close to three months, I posted every day, ranging from reviews of specific films to more general essays to fun exercises started by other bloggers (back then, "meme" had a different meaning). 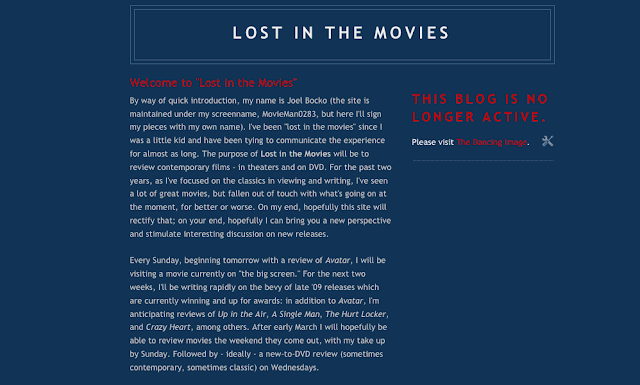 Simply writing down my thoughts about film and publicly sharing them on a basic Blogger template was thrill enough; there was a really fresh feel to these early days. The blogosphere was a thriving community at this time and I appreciated the back and forth that developed as we leapfrogged between one another's pages. Subjects include The Dark Knight (the big blockbuster of this summer), an ideal "dirty dozen" double feature program, my "Hooray for (Hating) Hollywood" series covering cynical fifties films-about-films, a chronological study of D.W. Griffith, and my initial foray into Twin Peaks, which miraculously coincided with the birth of my blog and resulted in a first season episode guide. This chapter also includes my immediate response to a shocking first viewing of Twin Peaks: Fire Walk With Me, my choice for the highlight of this period. If I just maintained a pattern of eclectic reviews for a decade there wouldn't really be a point to dividing this archive into different chapters. However, I frequently changed my general approach and/or honed in on a particular subject; one of the earliest examples of the latter was my election series in the fall of 2008, as Barack Obama and John McCain contested the presidency. 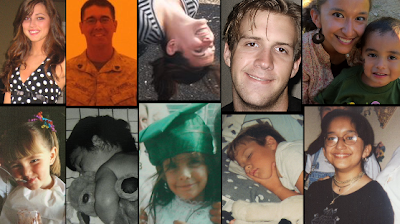 For twenty-six entries, I covered political thrillers, issue documentaries, and Frontline specials addressing both relevant history and current events (it's worth noting that at the time I was far more centrist than I would later become). Subjects include nonfiction films about pertinent sixties topics, campaign dramas, a couple slices of Michael Moore agitprop, serious studies on Iraq and the War on Terror, and political observations from auteurs like Spike Lee, Oliver Stone, and Frank Capra. My highlight for this period is my review of Iraq in Fragments, an unusual film I had discovered a couple years earlier and wanted to share. 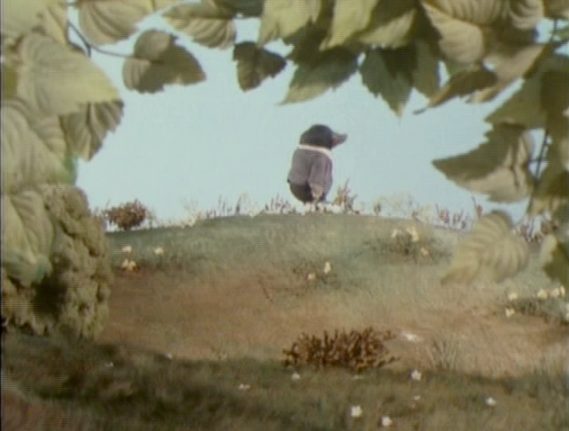 As the leaves fell and the weather cooled in the wake of an exciting election, I settled back into cinema for its own sake, although quite a few of my subjects remained political. 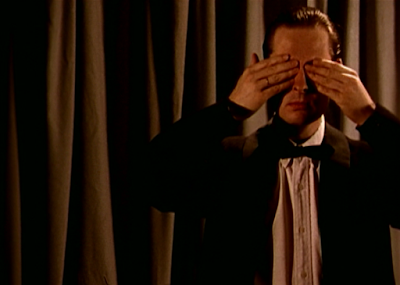 Resuming where I'd left off in mid-October, I covered Twin Peaks' second season and the last decade of D.W. Griffith's career; at the same time, I reviewed auteurist, genre, and cartoon classics (sometimes all three at once). As the year ended, I was able to slow down and loosen up my approach, tackling both ambitious round-ups and impulsive capsules. Subjects include several silent comedies, a trio of political thrillers, a meta-analysis of The Magnificent Ambersons' aesthetic decline, a collection of every Fred Astaire/Ginger Rogers dance sequence, and my first year-end tribute to favorite pieces by other bloggers. The polemical The Way We Weren't: Art Under Bush, my highlight for this period, offers a thorough account of how I perceived the passing zeitgeist at this time. 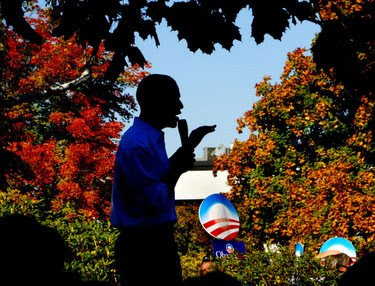 While 2008 was defined by enthusiastic consistency, 2009 would be far more erratic (especially later, when I extended my work across multiple platforms). For the first couple months I posted infrequently before trying to make up for lost time in March and then burning out. Still, my initial relaxed approach allowed for some whimsical detours and my eventual rapid pace inspired several concentrated explorations; through various lens, I was able to take stock of this particular, precarious moment (both personal and socio-cultural) while partaking in other, very particular moments in history, both recent and distant. Subjects include a report from the scene of Obama's inauguration (and the surrounding adventure), my discovery of mumblecore, my last David Lynch piece for five years, first forays into The Wind in the Willows, and an ultimately failed attempt to cover Cecil B. DeMille the way I'd covered D.W. Griffith a few months earlier. Funny Ha Ha is my highlight for this period; the unexpected gem inspired a review that reflected not just on the film but the passage of time (even more poignant in retrospect) and in the following comments I shared my thoughts on the mumblecore titles that followed in its wake. The spring of 2009 initiated a more restless period, which would basically continue for a year as I scattered my work across different sites, before eventually coming home again. For now, the activity remained concentrated in one place even as another site, Wonders in the Dark, inspired me and absorbed much of my attention. 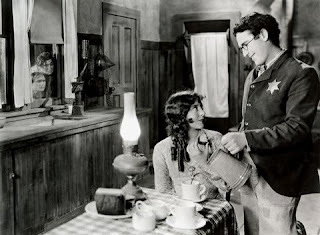 Like Wonders, I hung my hat on "the movies" rather than just individual movies at this time, voicing my enthusiasm for the big picture of cinema history in a way I hadn't really been able to since starting the blog. Subjects include favorite characters organized into fun categories, ambivalent thoughts about a celebrated children's classic, transcriptions of Francois Truffaut essays, Allan Fish's decade countdowns, and a particular film text with plenty of illustrations. My highlight for this period has to be my movie book round-up, Reading the Movies, which expressed my prevailing mood of wide-ranging cinephilia and inspired many other bloggers to follow suit. Subjects include - despite the shift elsewhere - the first anniversary of my personal site, films of Luchino Visconti, the (then) upcoming works of major directors, an event with an aging member of the Weather Underground, and speculation about where the characters of 25th Hour would be seven years after that story took place. Since the De Palma video was later revised and incorporated into a longer conversation, I'll save that for later and highlight a written piece for this period instead: my review of Lawrence of Arabia envisions the film's use of landscape as psychodrama rather than simply spectacle. 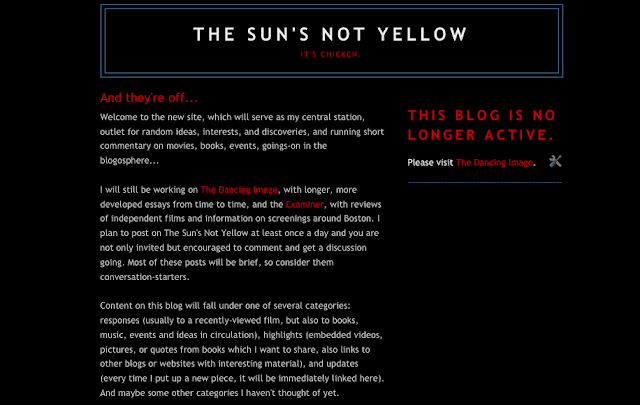 By now I wanted to reserve my main site (still called The Dancing Image) for the occasional ambitious project, but I also hungered for a more spontaneous, casual approach to online writing so I invented a new blog: The Sun's Not Yellow. In the first day alone, I quoted a literary classic, reviewed a proto-noir, and highlighted a random YouTube find that reminded me of my childhood. This site could also serve as a central hub for my work on the Examiner, where I was trying to establish a busy, eclectic approach ranging from independent film reviews to Boston retro round-ups to a "Best of the 21st Century?" series to my first-ever online interview. Subjects include works by several international auteurs (Sergei Eisenstein, Luis Bunuel, Pier Paolo Pasolini, and Mikio Naruse), Beatles-related musings, reactions to news stories, a couple Stan Brakhage tributes, and a couple horror classics. My highlight for this period is For the Love of Movies interview with Gerald Peary, a local critic and filmmaker, in which we discuss both the history of film criticism and its future in the digital era. 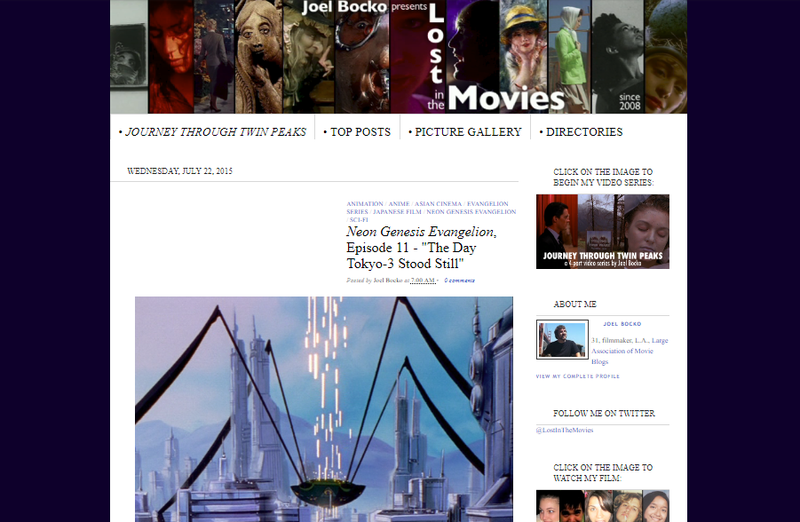 Right away as the new decade hit, I began featuring images more prominently on my sites. They were incorporated into visual tributes featuring screenshots from a single or multiple works, line-ups of posters spanning many years, and multimedia approaches mixing pictures with quotes. Having ended my commitment to the Examiner, my online work was at least temporarily taking on a more impulsive, immersive air. Subjects include my second round-up of other bloggers' work, quotes from F. Scott Fitzgerald, reflections on fascist propaganda, my first YouTube video (ironically, audio-only), and why I never liked the term "indie." My highlight for this period is, of course, image-heavy; They Once Were Coming Attractions... (memories of my movie past, 1988 - 1998) uses film posters to convey a thorough survey of my childhood moviegoing as well as aesthetic shifts over a decade of poster design. This was my last real crack at being a regular reviewer. Just as I'd hungered to try my hand at casual microblogging a few months earlier, now I wanted to tackle the contemporary scene as a critic - coinciding nicely with several films suggesting a cinematic coming-of-age for my (millennial) generation at the turn-of-the-decade. 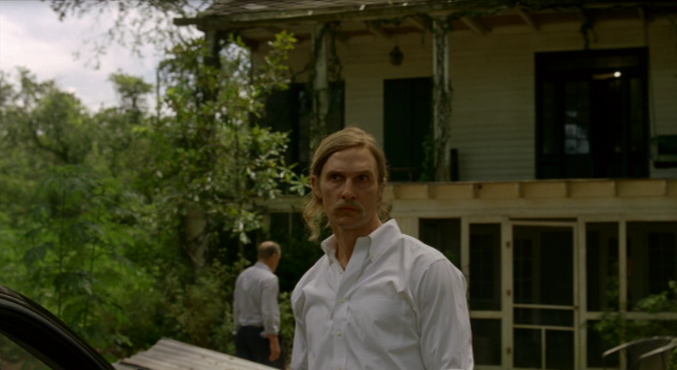 The new approach only lasted for a month and a half, but during that time I covered a bunch of Oscar contenders, theatrical debuts, and DVD new releases; meanwhile, I renewed my "Best of the 21st Century?" series, at the time exclusive to Wonders in the Dark, and maintained my more casual approach before closing up shop on my two extra blogs. Subjects include a massive visual tribute to hard-to-see films, poster collections from various directors, the Academy Awards for 2009, a highly critical take on the racially obtuse The Blind Side, and a review of Avatar, which was surpassing James Cameron's own Titanic to become the highest-grossing film of all time. My highlight from this period is Summer Hours, a French drama that took me by surprise when I reached it in my "Best of the 21st Century?" series; I was particularly struck by the tight conceptual structure beneath its casual surface. Almost exactly a year after beginning an expansion that would encompass at least five sites, I consolidated most of my archive and began publishing weekly, alternating between "Best of the 21st Century?" entries on Wonders in the Dark and a series of ambitious pieces on my own original home. This allowed me to dive deeper in both prose essays and visual tributes. I had almost been ready to shut down, but the combination of a sleek new reformat and the excitement of these different projects gave me a jump-start. 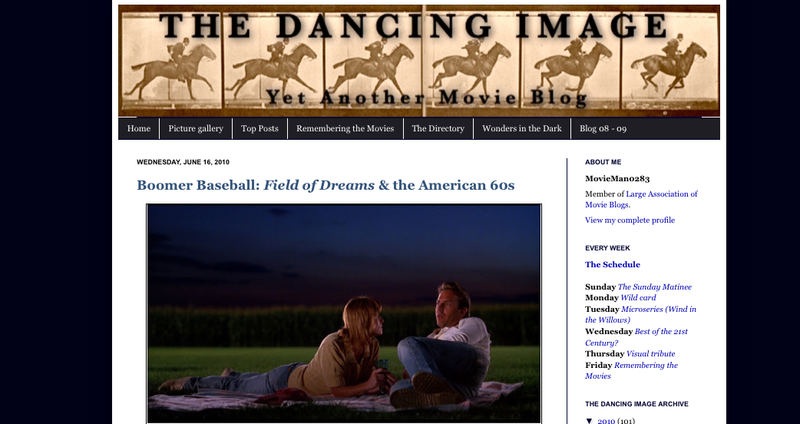 Subjects include a couple captivating films by Zhangke Jia, researching the sixties roots of Field of Dreams, written and visual surveys of all of Star Wars, conveying the sweep of European art history in Civilisation, and a "first frames" tribute that inspired dozens of themed "picture gallery" posts from other sites. Cities of the Imagination, a meditation on city-dreams using several films and a mixture of images and words, is my highlight for best capturing the scope and freedom of this period. If 2009 scattered my activity in many directions, 2010 brought it together in a way that highlighted both diversity and consistency. 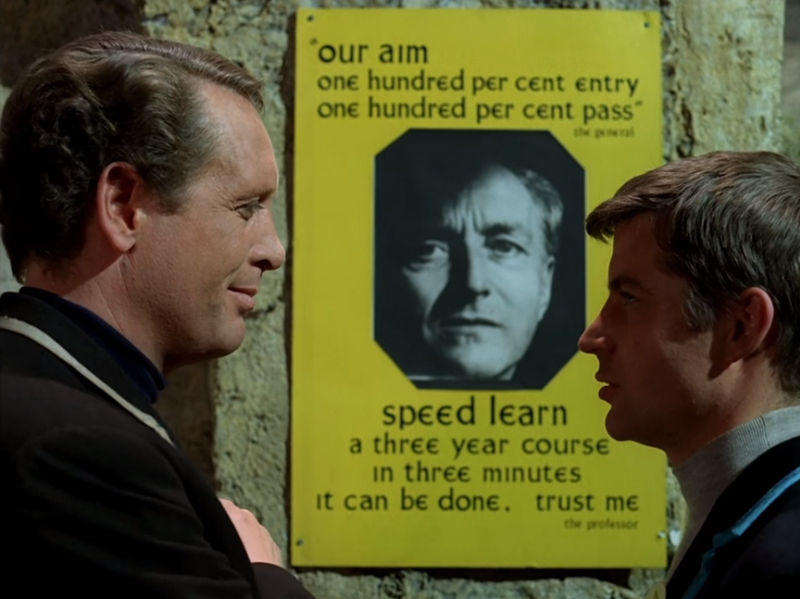 Starting in the fall, I followed a tight schedule: Sunday for European New Wave reviews, Monday for something random (usually essays), Tuesday for my Wind in the Willows series, Wednesday for "Best of the 21st Century?" 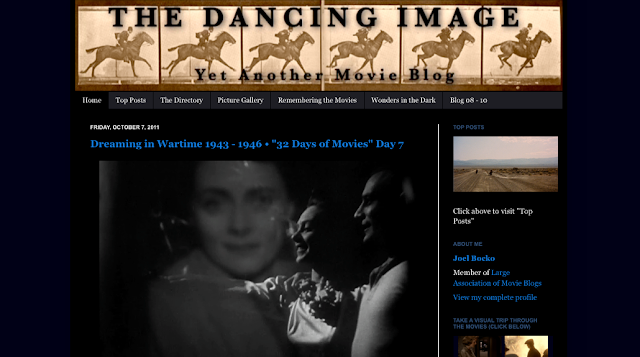 discoveries, Thursday for visual tributes, and Friday for Remembering the Movies, a highly-structured glance back at particular weeks in movie history. 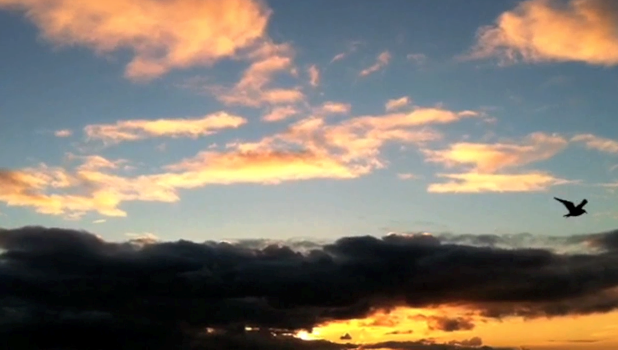 I stuck to this routine for six weeks and found it to be a liberating form of discipline. Subjects include several Disney animated classics, a couple Beatles films, a historical overview of the British kitchen sink movement, a playfully Facebook-formatted review of the Facebook movie, an analysis of three versions of the vampire story Let the Right One In, and an essay and visual tribute each for personal favorites Fists in the Pocket and Daisies. The Wind in the Willows - Conclusions highlights this period, rounding up my Willows pieces, from a meditation on the comfort/restlessness of the River Bank to a class analysis of the book's reactionary social views to a biographical excavation of Kenneth Grahame's sense of "home." During a harsh winter, in which both weather and work contributed to a sense of exhaustion, I kept my online flame flickering purely through the Remembering the Movies series. At this point these rounds-ups consisted mostly of highlights from other critics alongside whatever images or videos I could dig up for the (often obscure) selections; even so, I couldn't build a backlog and barely kept up week-to-week. The spring found me burnt out on both this endeavor and my larger blogging project so I decided to end the site...or so I thought. Subjects include Sidney Lumet's subtle filmmaking, a Rocky tribute that toys with its images, recollections of early nineties films that impressed me as a little kid (even when I couldn't see them), screenshots from my own experimental film, and my contempt for the Academy Awards ending their Honorary Oscars broadcast. My highlight from this period is my year-end collection of other bloggers' work, Blog 10, which not only forms a striking collage of prose, image, and video, but also provides a snapshot of a particular moment in the film blogging community that would dissipate in the decade to come. 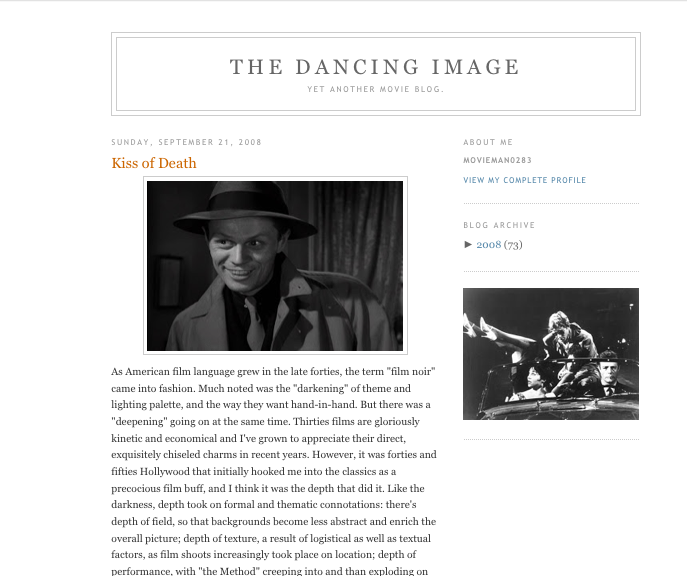 I always wanted my online work to not just be about cinema, but to incorporate cinema into itself; after all, despite having a text-only blog in the very early days, I chose "The Dancing Image" as my title. This desire was fulfilled in the fall of 2011 when I transformed my site into a chronological survey of movie history through clips from my DVD collection - thirty-two chapters, seven or eight minutes each, containing a dozen or so glimpses of different areas, eras, and ethos. Not only did this scratch a visual itch, it also allowed me to embrace "the movies" not just as individual trees but a vast forest. Subjects - aside from that video series - include visual, verbal, and video entries in a musical countdown, my first forays into the anime world of Neon Genesis Evangelion, a month devoted to Universal horror films, a second favorite characters list even more expansive than the first, and a rapid-fire video (posted as an afterthought) which became my most popular work in a matter of days. That montage was extracted from the end of my highlight for this period, the video clip chapter To Become Immortal, and Then, to Die. 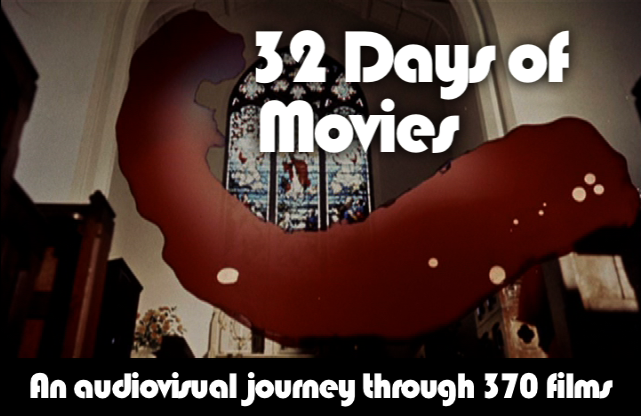 1969 - 1970 • "32 Days of Movies" Day 19 which captures the last years of a dynamic sixties cinema. Still running off the energy generated by my "32 Days of Movies" film clip series, I immediately announced "The Big Ones," a canonical mission to review the most notable titles that I'd overlooked on my site thus far: warhorses like Casablanca, Citizen Kane, Grand Illusion, Seven Samurai, The Seventh Seal, among others. Following a familiar pattern, enthusiastic commitment eventually descended into weary obligation but I finished the project anyway, producing some of my stronger essays in the process. Other ongoing endeavors exhausted themselves too and after a hectic holiday schedule I took another break. 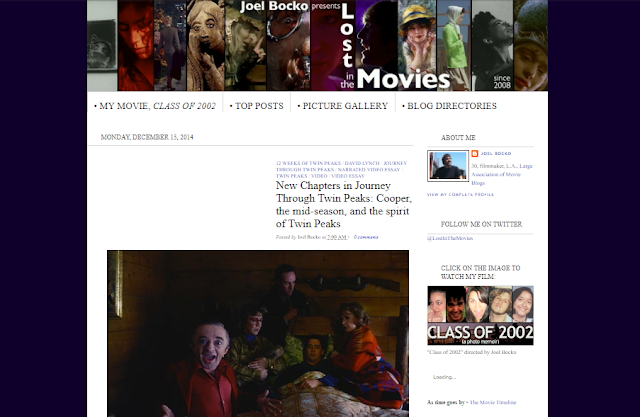 Subjects include a list of 100 favorite films to top off this autumn of all-encompassing cinephilia, impressions of avant-garde classics, my final round-up of other bloggers' work, an interview with an independent filmmaker, and a revealing comparison between Bambi as book and Disney adaptation (among other "animated animals" in November). 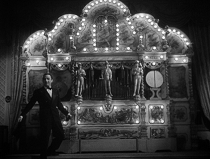 My highlight for this period is, perhaps unsurprisingly, my essay on Citizen Kane, emphasizing what the film's structure says about individual characters as well as the relationship of form and content. When I came back after my second four-month pause in a year, I almost felt like I was starting from scratch. The blog itself had briefly vanished, and even after it returned I was working without a computer (or even a smart phone) for several months, composing pieces in a journal and transcribing them thanks to the generosity of libraries or roommates when I had the chance. Having relocated across the country, I was trying to build something new both on and offline - as the following chapter will reveal. Subjects include adaptations of Raymond Chandler, gathering favorite paintings, the politics of the final Dark Knight movie, the sale of Lucasfilm to Disney, and the casual postmodernism of eighties cartoons. I could go back and forth on what I'd like to highlight from this period but I'll settle on Sixties Reunion: The Big Chill & Return of the Secaucus Seven, not just an in-depth exploration of the two strikingly similar films but a broader analysis of slippery concepts like "the sixties" and "baby boomers." 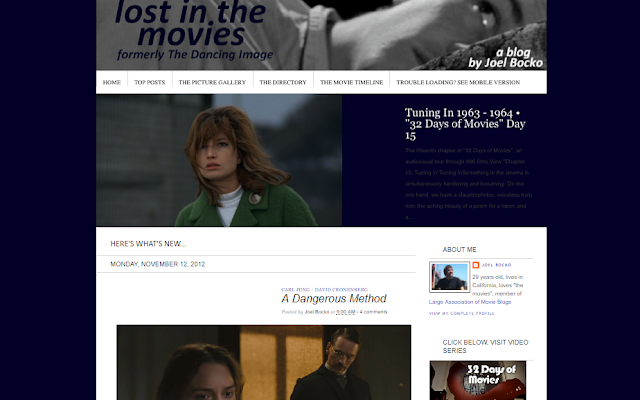 As I turned twenty-nine, I reinvented The Dancing Image as Lost in the Movies, including a redesign and the initiation of several series that would conclude years later. 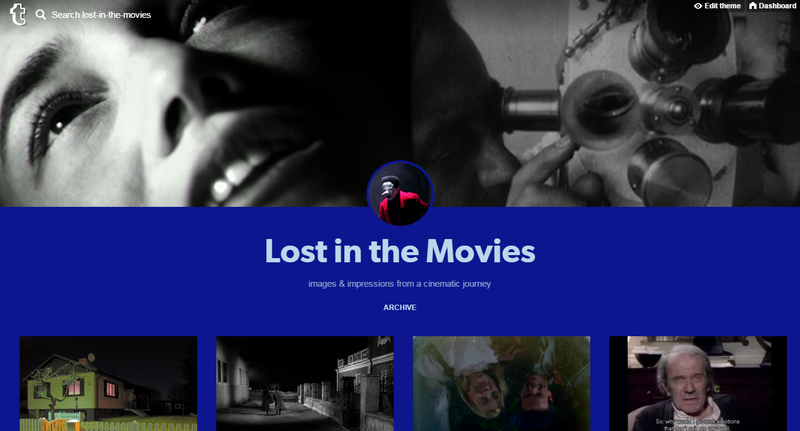 More importantly than that, I finally began creating narrated video essays and most importantly of all, I used the re-titled site as a platform for my first online film project. 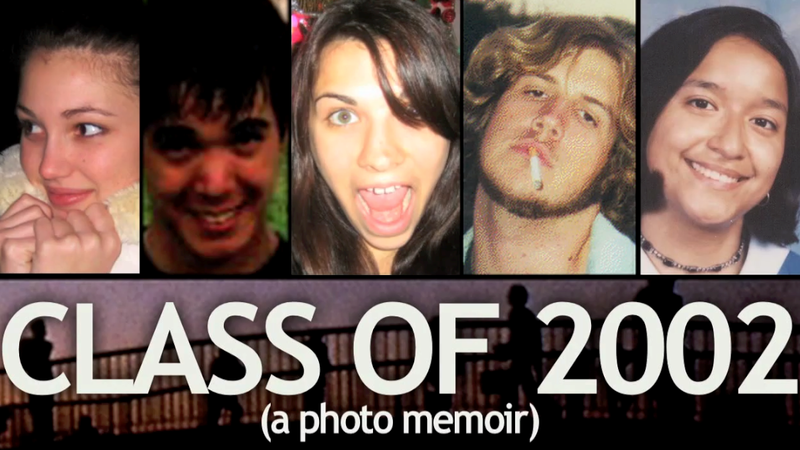 Class of 2002 was an unusual short film, using snapshots and narration to mimic a documentary form in a highly structured manner, and its genesis and premiere would ultimately define this crucial moment in the site's history. Subjects include my episode guide for the first arc of Neon Genesis Evangelion (including chats with Bob Clark), the kickoff for my Favorites series reviewing titles from my top 100 list the previous year, a video exploration of Fists in the Pocket as political allegory, my audiovisual collage of different critical voices on Modern Times (for a comedy countdown), and visual tributes that lead up to and ultimately explore my own movie. My highlight for this period has to be 2002 in 2012: The Making of My Movie, Class of 2002, which not only presents Class of 2002 but shares the story of its creation. Where to go after making a film? The following year doubled as both blossoming and constriction: Twitter provided a way to re-join the conversation that had shifted from blog comments to social media and inspired my #WatchlistScreenCaps exercise (representing every film I watched with a single striking image), but as I settled into this fun, convenient approach I was also writing less and less. The projects I'd begun the previous fall all languished while I catalogued not only what I viewed, but what I read and listened to. Subjects include live-blogging a marathon of art films streaming on Hulu, celebrating viral YouTube videos of the past seven years, paying tribute to Boston in the wake of a bombing, reviewing Guru Dutt's powerful Pyaasa (at a time when few films inspired me to write an essay), and marking Lost in the Movies' fifth anniversary through a comprehensive history of the site. Although its central feature was created several years earlier, Press Play features my De Palma video w/ Kevin B. Lee interview is my highlight for this period, joining my work to a broader conversation with a master of the video essay form - pointing forward as well as back. Earlier in 2013, I had reservations about sliding into a purely visual record of my media intake but by late summer/early autumn those reservations had completely slipped away. 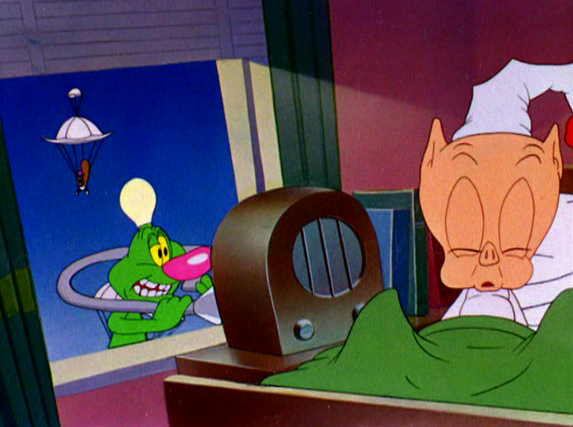 I published virtually nothing but screencaps and album covers during this time, focusing in the former case on several DVDs of classic animation from Warner Brothers, Disney, and other midcentury powerhouses. The wacky exaggerations, bright colors, and wide-ranging selections spun a comfortable cocoon whose visuals-first approach certainly synced up with the age of Instagram and Pinterest. Subjects include individualized round-ups of cartoon favorites like Mickey Mouse and Betty Boop, a collection of diverse documentary subjects, a resonant quote from Carl Jung, a visual highlight from each decade (including my first rewatch of Fire Walk With Me six months before my return to Twin Peaks), and the organization of a half-year's images into a single page. 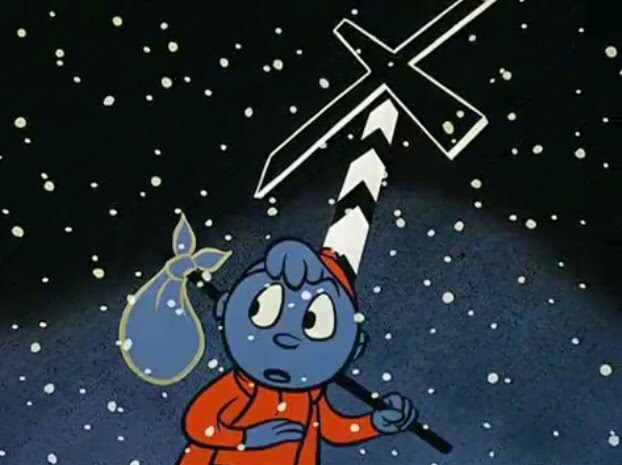 A Saturday of Classic Cartoons: 90 images from my animation viewing marathon, 10/5, my highlight from this period, extracts dozens of screenshots from a rich midcentury mine of animation. 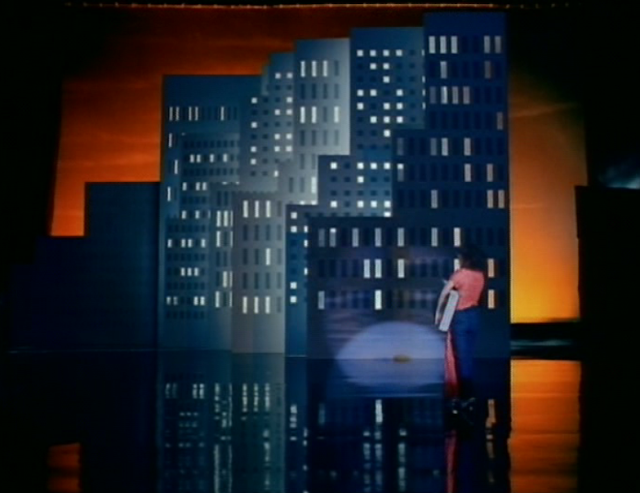 When #WatchlistScreenCaps began, the point was merely to illustrate, in an eye-catching way, what I happened to be watching; by the time the exercise concluded a year later, I was watching films specifically so that they could be incorporated into the screenshot round-ups. 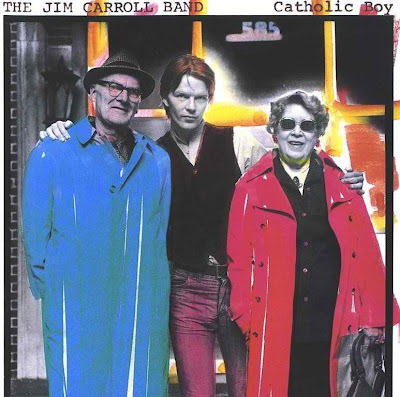 The cart was now leading the horse, but it was still fun while it lasted, yielding concentrated selections of music videos, miniseries, Hollywood genre classics, auteurist masterpieces, sixties/seventies icons, and nostalgic Christmas reveries. 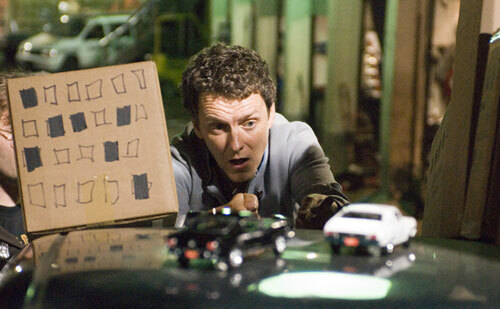 At this time, I also made my first tentative approach to several recent series I'd eventually cover in viewing diaries. Subjects include images from films about filmmakers, political reflections after watching the documentation of a revolution and coup, capsules on impressive movies I saw for the first time this year, a western countdown entry on different versions of Pat Garrett & Billy the Kid, and a sprawling collection of leftover screenshots. Alongside the similarly expansive sprawl of my Watchlist, my highlight for this period involves illustrated picks for best actor, actress, director, etc, via links at the top and bottom of Introducing 90 Years of Cinema: my "alternate Oscars", 1923 - 2012. 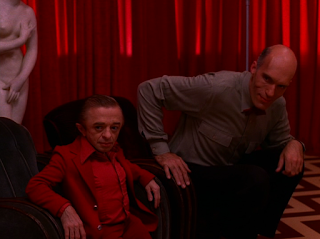 Bit by bit, I fell back into the world of Twin Peaks and David Lynch in the spring of 2014. At first this growing fascination hummed beneath the surface and in the background but within a few months, it dominated all of my work. After a year of breadth, this was the time to plumb depths: not only my return to a filmmaker whom I'd absorbed in the early months of my site, but a return to writing analytical essays and editing video montages, all with a laser-sharp focus on a particular area. 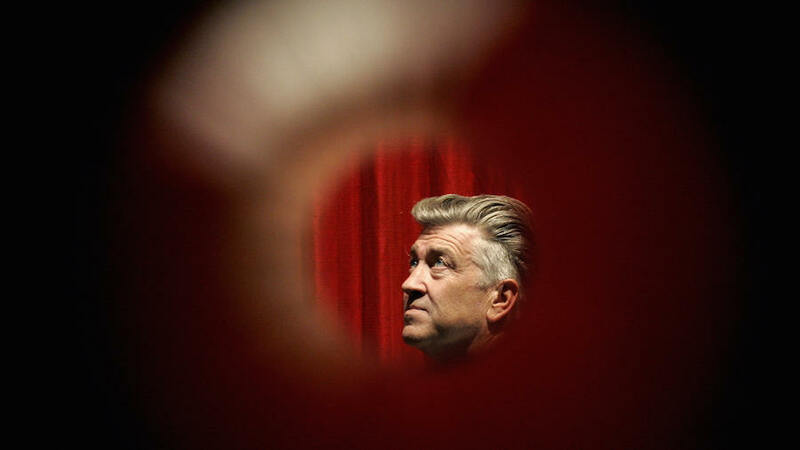 Subjects include reviews of every single Lynch feature, my extensive media round-up of early Twin Peaks coverage, an ongoing conversation on Fire Walk With Me with Tony Dayoub, a visual tribute to an unforgettable killer's reveal, and a final round-up of albums with emphasis on early nineties grunge and early teens hip-hop - and, of course, some Twin Peaks music. 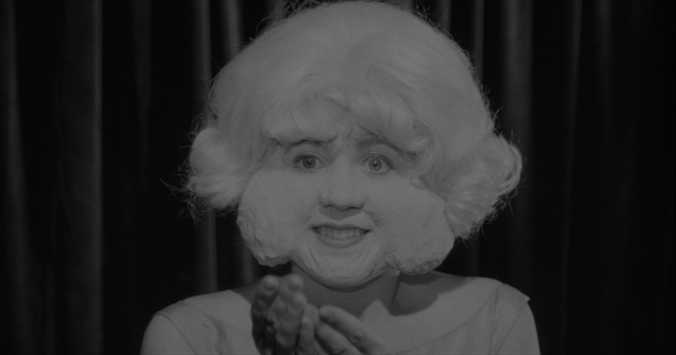 Take This Baby and Deliver It to Death: a video tribute to David Lynch, my highlight of this period, was delivered at the midpoint of David Lynch Month in June; it conveys the director's treatment of abuse and denial in his early films, and even tells a kind of cohesive story, by weaving together many of his most troubling and haunting moments. Subjects include my video presentation of Lady and the Tramp's multiple genres through playful manipulation (a joy to create), an organized voyage through literary psychodrama, fairy tale, and religion, my experimental film expressing an inner and outer autobiographical journey through a mash-up of forms, a visual tribute to Neon Genesis Evangelion's flashback-laced interplay of trauma and mythology, and a sprawling piece on The Giver, Boyhood, and "the death of adulthood" addressing my fascination with transformation and the power of the fantastical to convey themes of personal growth. See what I mean? Since the obvious highlight of this period is already my most popular work, I'll nudge readers in another direction instead and recommend Opening the Door: a conversation with Martha Nochimson, author of The Passion of David Lynch and David Lynch Swerves, a great discussion with someone who had a very strong influence on Journey Through Twin Peaks. 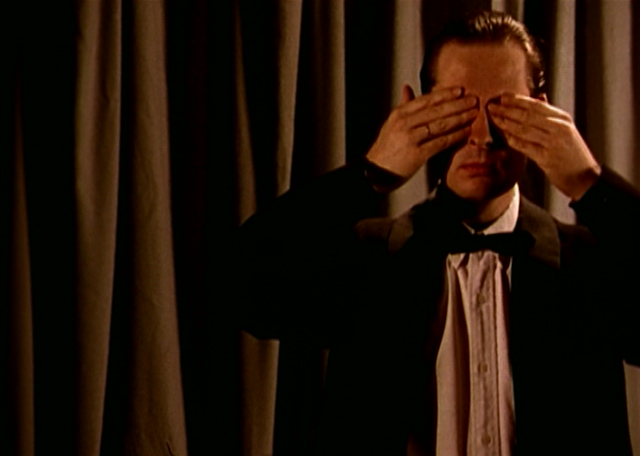 My new plan for Lost in the Movies essentially broke Journey Through Twin Peaks into its component parts: Twin Peaks as a central touchstone, television as a subject, and video essays as a favored approach. 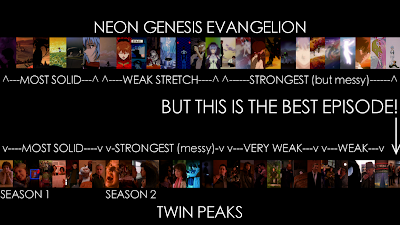 Once a month I offered either an update on the new Peaks' progress or gathered memories of the old Peaks, every week I reviewed another episode of True Detective (season one and, as it aired, season two) and/or Neon Genesis Evangelion, and as often as possible I submitted a new video essay to Fandor Keyframe, where I had been invited to contribute by Kevin B. Lee (whom I interviewed in the spring as part of my effort to dig deeper into this exciting new form). I also tried to slowly make my way through my own DVD collection but that never got very far, although I still get a few movie reviews in here and there. Subjects include the Quay brothers' oneiric world, Maya Deren and quantum physics, the value of fandom, a wide-ranging discussion of a Woody Allen book, and Kevin B. Lee's "desktop documentary" analyzing the socio-economic implications of a Transformers production. Learning to Look: Eye Contact in Satyajit Ray's The Big City is not only my highlight for this period, but one of my strongest video essays - and pound for pound, perhaps my best work of criticism, period. This was a busy time, but also an orderly one. My regular Twin Peaks posts, weekly episode guides, and occasional Fandor essays were now supplemented by a renewed Favorites series, recurring podcast appearances, and a slate of biweekly YouTube video series (short narrated review, side-by-side comparison, abstractly illustrated poem, music-driven montage). 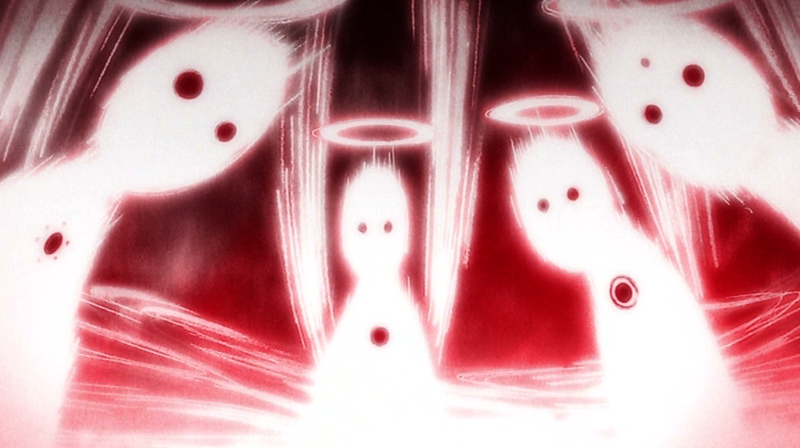 I published at least three times a week, a routine anchored both literally and figuratively by Neon Genesis Evangelion as I dug into the most interesting episodes of that series and eventually devoted an entire week to The End of Evangelion (a focus that dovetailed perfectly with my video and Favorites commitments). Subjects include that infamous "day in the future" of Back to the Future Part II, a podcast tribute to the Log Lady, the debut of my Tumblr companion blog, assessments of both seasons of True Detective, and ranking/reviewing every Twin Peaks episode. 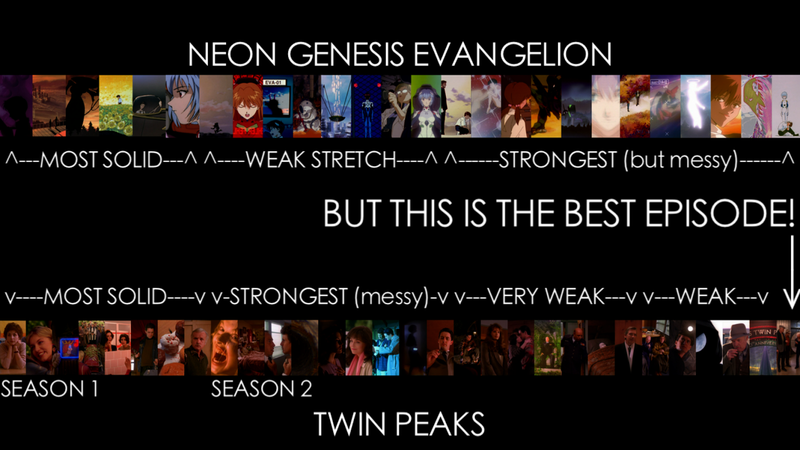 Joining together my two primary interests at this time, my highlight of this period is the video essay Side by Side - Neon Genesis Evangelion & Twin Peaks, at once an analysis of storytelling shape, a collage of visual rhymes, and a cheerfully counterintuitive mash-up. In the wake of autumn's Evangelion immersion, several new subjects emerged to complement my continued focus on Twin Peaks throughout the winter. Lincoln Center's pairing of David Lynch and Jacques Rivette not only led me to New York to cover the entire retrospective but also prefigured a year-end montage using a couple Rivette films, followed by some more coincidental Rivette tributes (including a long-postponed video collaboration completed the previous summer and, sadly, an obituary triggered by Rivette's own passing). Meanwhile, British cult classic The Prisoner replaced Evangelion as my TV viewing diary and the release of The Force Awakens inspired several Star Wars pieces; together - along with the exploration of my familiar Favorites once a week - these all served as recurring, even reassuring touchstones into the new year. 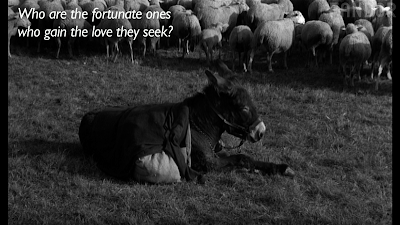 Subjects include the uncanny correspondence of Lynch's late films with Maya Deren's Meshes of the Afternoon, the kaleidoscopic color spectrum of the Czechoslovakian Daisies, a tribute to the Honorary Oscar winners shunted from the main broadcast, an intense visual immersion into the spirit of Arthur Rimbaud, and the convergences and divergences of two "horse-obsessed Sterling Hayden goes on a fifties heist" movies...and those are just the subjects of my video essays! Another video essay is my highlight, The Passion of Anna K. (video essay on Jean-Luc Godard & Anna Karina), which matched the larger spirit of this period: at once tightly structured and free to explore. During the slow summer of 2016, everything I published was either completed in the spring or a commitment/tribute to someone else (or both). Finally in the fall I resumed a busy pace, in this case exclusively focused on concluding my Favorites series by the fourth anniversary of its debut. 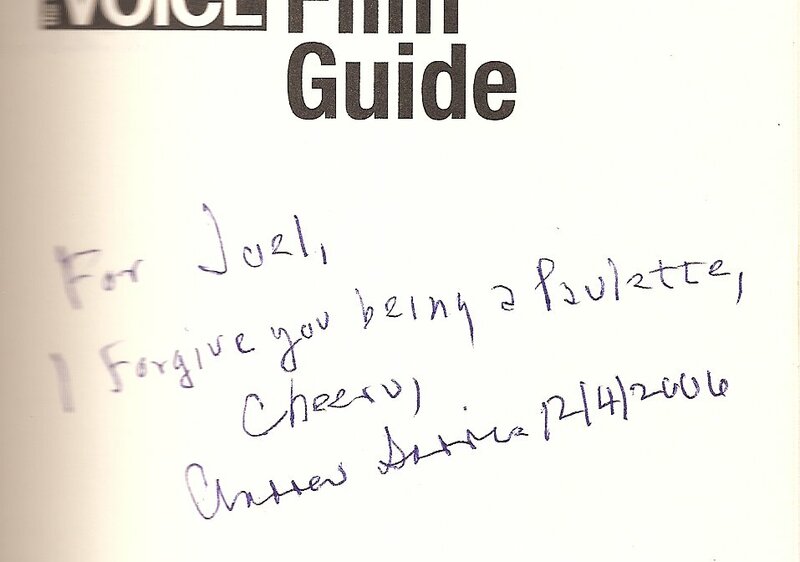 Every day I published a new entry following the order I'd established a half-decade earlier; obviously preferences and perceptions shift with time, especially given my drift from intense cinephilia, but that was part of the pleasure in writing these fifty-eight reviews (almost all from memory rather than re-viewings). Subjects, outside of the Favorites series yet in tune with its subjects and mission, include teasers for a Citizen Kane video series that would remain just a tease years later, an experimental switcheroo between Au Hasard Balthazar and Pyaasa, two podcasts each on my two favorites series/film combos, written interviews with Twin Peaks and Prisoner fans, and a sad farewell to Wonders in the Dark guru Allan Fish, the cinephile extraordinaire. My highlight for this period is, appropriately enough, The Favorites - Masculin Feminin (#1), a longer-than-usual entry on a favorite that felt newly relevant with its portrait of a growing but frustrated youthful left against the backdrop of a national election. The coming year was already set to be "The Year of Twin Peaks," as the countdown to Showtime's third season began, but a few days into this period it quickly became clear this would be the year of something else as well. On the site at least, I knew which subject would be the focus (my attention on Twitter would be more evenly split) but both the exciting artistic promise and the political threat of 2017 haunted the remaining months of 2016. I belatedly cross-posted projects (often political) that had been published elsewhere during my Favorites series, shared some call-ins to a left-wing talk show, and reviewed the grimly beautiful Jame Campion TV series Top of the Lake - itself very much a synthesis of Peaksian and political landscapes. For this period, I'm highlighting Black/White: a video essay on Black Girl, asking relevant political questions through a formal analysis of Ousmane Sembene's groundbreaking film. Throughout much of the previous year, I had been preparing a series of character studies, isolating and analyzing all members of the Twin Peaks ensemble from most minor to most major. 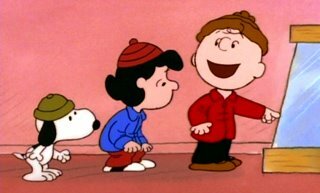 In fact, I never quite reached those top characters; the premiere of the new Showtime season was scheduled for May 21 and despite a good head start I just could not wrap things up in time. Twenty stars remained for an eventual update of the character series, where they would be joined by an inevitable onslaught of new individuals. Subjects outside that character series include an illustrated filmography of Sheryl Lee (in the works since 2014), a guest post promoting my video series (in the works for almost as long), a podcast segment on David Lynch's complicated politics, a celebration of Lynch's underrated The Straight Story, and my final video for Fandor Keyframe, about the superb O.J. Simpson documentary (with some reference to the acclaimed dramatic miniseries as well). 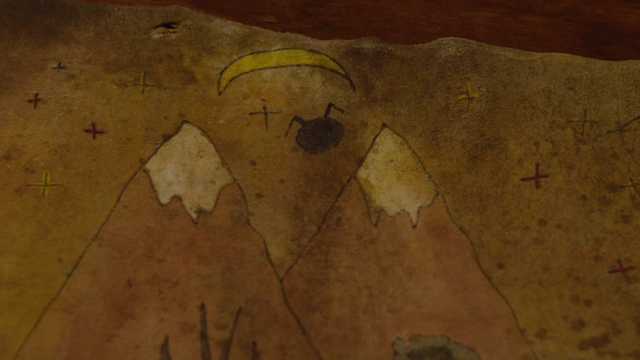 My highlight for this period is Top 30 "Hidden" Characters of the Original TWIN PEAKS (3rd Preface to TWIN PEAKS Character Series) which includes some characters who would become less hidden in The Return, thus remaining a time capsule of a soon-to-be-vanished era in Twin Peaks. 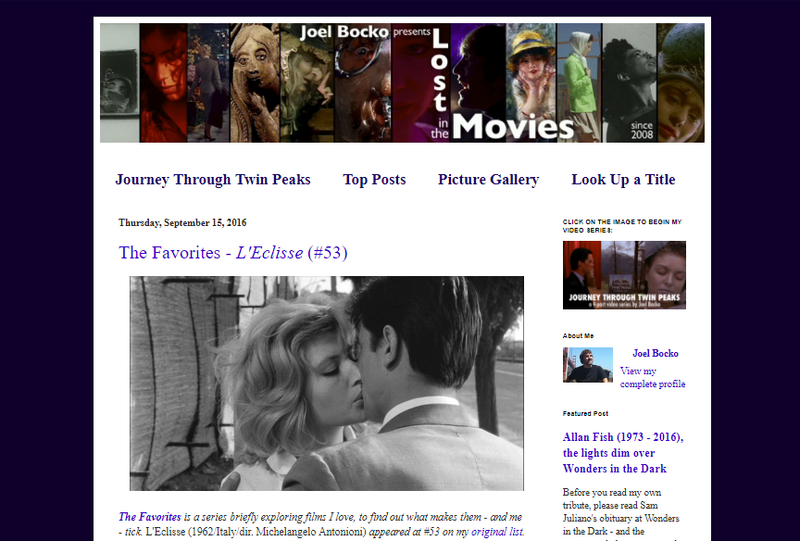 For half a year my site was entirely devoted to Twin Peaks; no other subject stole the spotlight between a quick status update in the spring and a podcast on, well, another David Lynch film in the fall. Podcasts, by the way, became quite a staple during this time - I appeared on seven different programs (including good old stalwarts Obnoxious & Anonymous and Twin Peaks Unwrapped) and was also invited to publish Peaks pieces on three different sites. Along with the most active comments sections I've ever hosted and, of course, the weekly night-of viewing diary in which I recorded my immediate reactions as Showtime aired eighteen new episodes, all of this made for a very satisfying outcome after years of waiting for this moment. 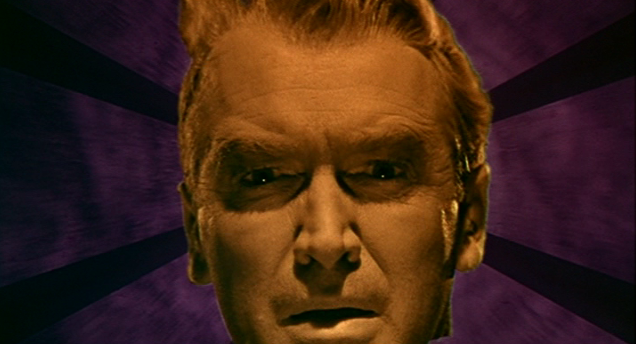 Subjects include the whirlwind ride of Part 8, celebrating Fire Walk With Me's entry into the Criterion Collection, Lost Highway in the midst of the #MeToo moment, studying the connections between Mark Frost's Secret History and the third season, and an unexpected group interview with Peaks producer Sabrina Sutherland on the eve of the new finale. Although it's tempting to choose something from my Return viewing diary (I'll cheat by pointing to my piece on the two-part finale), my highlight for this period is actually TV Countdown - Twin Peaks, in which I return to the old stomping ground of Wonders in the Dark for my extensive, first-ever study of all three seasons of Twin Peaks. Having tried my hand at many different formats on many different platforms over the years, I finally answered the siren call of both Patreon and podcasting in the winter of 2018. 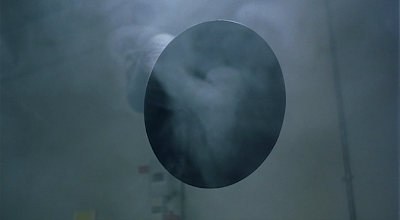 Initially, second-tier patrons were able to select "films in focus" and so I soon found myself covering multiple films per episode, updated alongside other Patreon endeavors on my main site every week. This dense approach proved way too ambitious but while it lasted it allowed me to re-engage with reviewing movies for the first time in a while (aside from revisiting films that were already personal favorites). Subjects include a couple of the third-generation Star Wars films, a comparison between Mulholland Drive and Twin Peaks, two cinematic interpretations of Marie Antoinette's legacy, a pair of Christopher Nolan films, and a guest conversation on the Blade Runner sequel. With the bulk of this period hiding behind a paywall (albeit only a $1 paywall!) 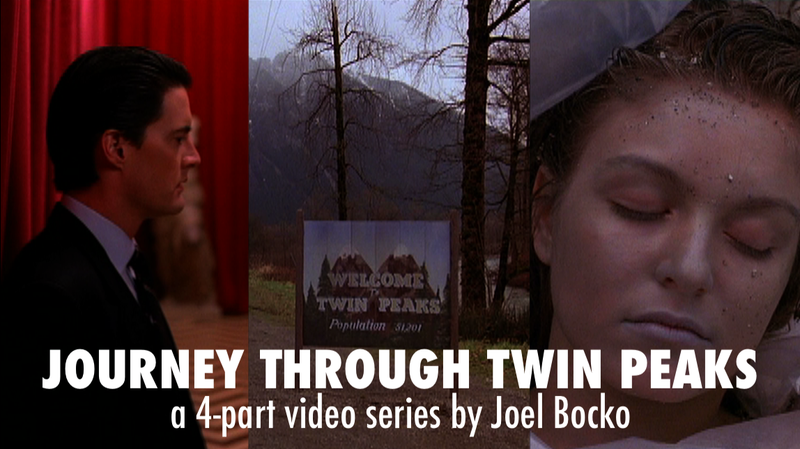 for non-patrons I'll highlight the public essay Creating Journey Through Twin Peaks (pt. 2 of 3), detailing the creative and critical process behind Journey for the third anniversary of that video series. 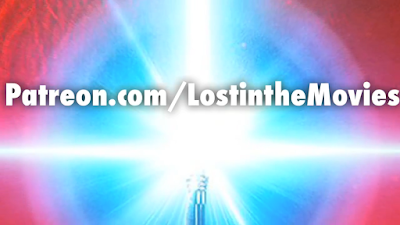 With my tenth anniversary approaching, I concocted a few forms of celebration: once a week, I included an "Opening the Archive" series on my podcast running down each of these chapters; once a day, I posted something - a film or TV episode review, visual tribute, interview, status update, or Patreon round-up - on Lost in the Movies; and ten times a day I tweeted pieces from my backlog in chronological order. The second commitment was particularly challenging, allowing me to finally share viewing diaries I'd been writing behind-the-scenes for several years...but also forcing me to finish them under the gun! As a result I covered the first seasons of Breaking Bad, Mad Men, Veronica Mars, The X-Files, and The Wire, novelty episodes or related films for Star Trek, The Clone Wars, and Buffy the Vampire Slayer, and both seasons of the short but dense Danish series The Kingdom. Subjects with a Lynchian flavor include a review and visual tribute devoted to David Lynch: The Art Life, an interview about a Twin Peaks fan film, a trio of Lynch features, a discussion focused on a stretch of four season three episodes, and a Return rewatch in which I recorded responses to each episode around the first anniversary of its airing with guests joining for the big one - Part 8 (a part of the conversation was made public on YouTube). 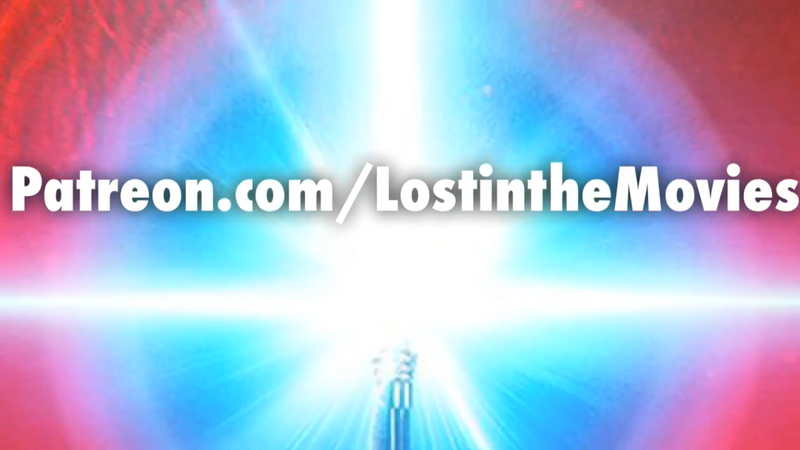 My highlight for this period is Patreon update #15: Twin Peaks pilot & Eyes Wide Shut w/ Andrew Cook (season 3 rewatch prologue begins, the Frankenstein legacy, my short film Class of 2002 & more) because it not only ended up being a strong episode but also the only one immediately and entirely available to all would-be listeners. When I look back on all these archive chapters, I can see not just the surface subjects but where I was at that time not just mentally, but geographically (either residing or visiting friends/family)...the New Hampshire library in summer, the Brooklyn apartment in autumn, the Cambridge workplace (break room of course) in winter, the Pasadena backyard during the holidays, the Florida house in spring, the Yosemite cabin during another summer. 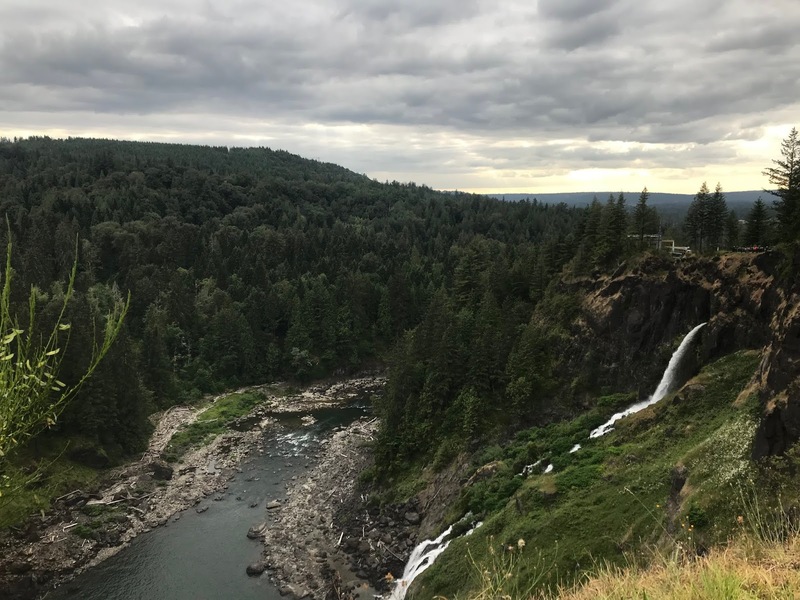 This short chapter, however, opens with a context that was public; while visiting my cousin in Seattle we took a day trip just a half-hour from the city to visit the locations where Twin Peaks was shot. 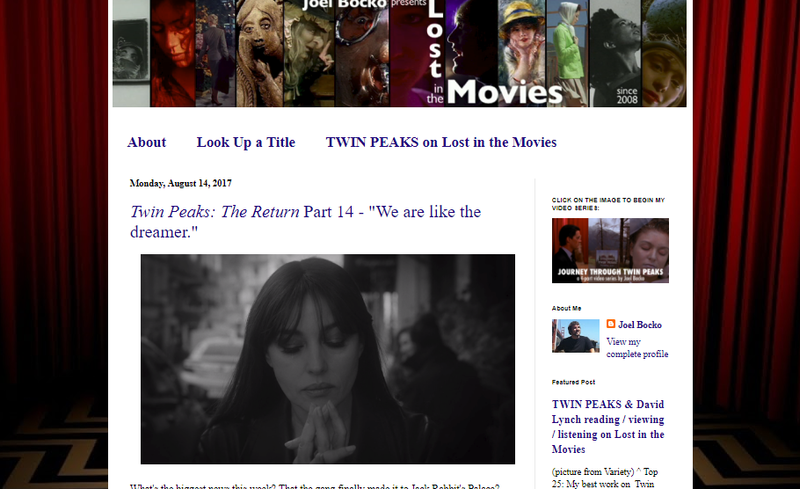 This was the perfect way to mark a time characterized by commemoration, in which I shared older pieces on Peaks for the first time, started reading archive pieces on my podcast, concluded my one-year retrospective of The Return, and bookended this period with reflections on my archive to celebrate the site's tenth anniversary. 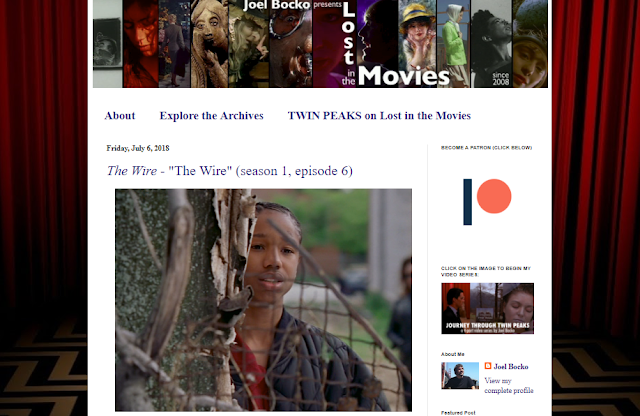 Subjects include the structure of Twin Peaks as a TV series, the left-wing summer sleeper Sorry to Bother You, Medium Cool in time for the fiftieth anniversary of the Chicago protests, the reaction to future congresswoman Alexandria Ocasio-Cortez's surprise primary win (to stick with the political theme), and rescued-from-limbo readers comments on The Wire, whose first season I'd just finished writing about. The highlight of this period is Patreon update #37: FREE Public 10th Anniversary Videos and preview of Get Out review in which I convert my twenty-ninth episode into a highly-illustrated public video (kind of a slide show format), looking back on a decade of my online work. 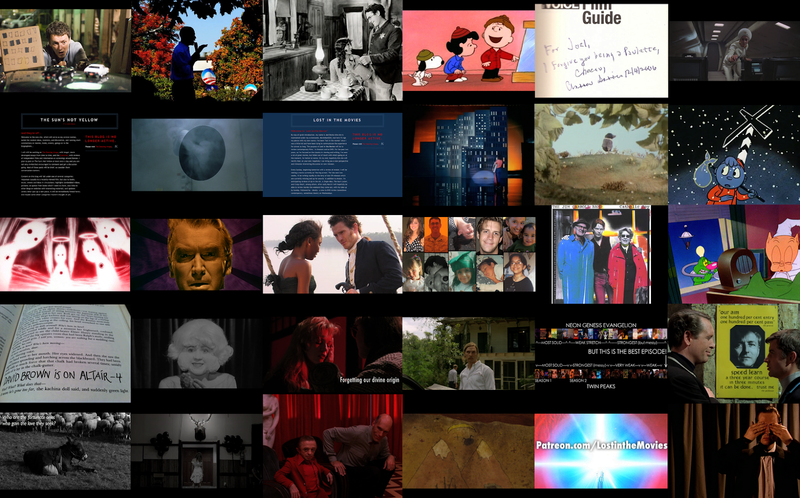 My short film Class of 2002 • Criterion-Hulu marathon • #WatchlistScreenCaps round-ups begin: images from international classics, viral YouTube, Arthurian/Grail films, live-action shorts, documentaries, music videos, miniseries, Christmas media, and hundreds of cartoons • The Story of Film • Lost in the Movies' 5th anniversary • first interview with Kevin B. Lee (on my first video essay) • #iPodAlbumPlaylist & #JoelsReading List round-ups begin • 90 Years of Cinema: my "alternate Oscars"
Concluding #WatchlistScreenCaps/#iPodAlbumPlaylist/#JoelsReadingList • a few films from 2013/2014 • conversation with Tony Dayoub on Twin Peaks: Fire Walk With Me • David Lynch Month • media & early online commentary on Twin Peaks • resuming video essays • reviewing every Lynch film • first podcast appearances (Obnoxious & Anonymous) • Twin Peaks: The Missing Pieces • Twin Peaks interviews: Brad Dukes, John Thorne, Martha Nochimson • my experimental short film • Journey Through Twin Peaks Parts 1 - 3 (the TV show) • "7 Facts About Twin Peaks: Fire Walk With Me"